What became of the "Hare Krishna" who burned Manson? Jan Holmstrom sat in a Hall of Justice courtroom yesterday in shackles the sheriff's department reserves for those considered too volatile for simple manacles. A thick chain ran around his waist, connected to two handcuffs that bound his hands together in front of him, then looped down his body to his feet, cinching them so that the 47-year-old man could only walk in small, shuffling steps. But Holmstrom was not the image of the raving paranoid schizophrenic that those who know him claim he can be. Having received psychiatric treatment while in jail, he sat calm and composed and listened intently as Superior Court Judge Lenard Louie pronounced that Holmstrom was not guilty by reason of insanity for the stabbing of a man inside a Cole Valley Hare Krishna temple in November 1994 -- an act Holmstrom has said he did for his God. 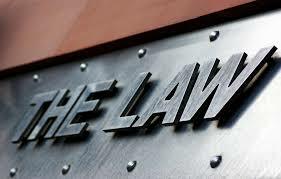 For a man whose life has been marked by violent acts committed against himself and others, including the shotgun slaying of his father in Pasadena over 20 years ago, the judge's finding was the most humane decision that could have been made, Holmstrom's lawyer said. The ruling, which Louie based on the recommendations of three psychiatrists, means that Holmstrom will not be sent to prison for his crime. Instead, he will go to a high security mental facility that Holmstrom's lawyer hopes will provide him with extensive psychiatric care. "We would not be where we are now, if Mr. Holmstrom had gotten the proper treatment the first time he got violent," said his defense lawyer Sheila O'Gara. "The mentally ill fall through the cracks. They don't belong is the criminal justice system, but there is no other system to put them in. The government has shirked its responsibility." While Holmstrom was awaiting trial on the charges of assault with a deadly weapon and burglary for the Nov. 26, 1994 attack at the Hare Krishna temple, O'Gara and prosecutor George Beckwith came to agree that state prison was not the right place for Holmstrom. Holmstrom was not given proper psychiatric care or medication for his illness, when he was serving time for the 1974 slaying of his father, O'Gara said. In prison, he sent death threats to family members and attacked guards and prisoners -- including fellow inmate, cult leader Charles Manson, whom he set on fire. If the 1994 case had gone to a jury trial and Holmstrom had been convicted on the charges, the outcome would be the same as his earlier trip through the justice system, O'Gara said. He would be sent to prison, receive no psychiatric care, later be paroled and, without supervision, probably become violent again, she said. Under Louie's ruling yesterday, however, Holmstrom can be incarcerated for as many as 25 years. His release will depend on the opinion of psychiatrists who will evaluate him periodically. "Whatever sins were committed by Jan Holmstrom he has suffered like the damned. It is the curse of mental illness," O'Gara said. "Because he is medicated now, he is aware and living in a state of remorse. But every day he has to live inside his own head. Every day he has to live with Jan Holmstrom." Sanders wrote the definitive book on the Manson Family ("The Family.") He's currently working on a book about Robert Kennedy. He's decided to sell the assembled work on which he's based his research. Ed Sanders is a kind of godfather scholar of the 1960s counterculture. He wrote the definitive book on the Manson family. He co-founded the rock band The Fugs. And his latest project is a book about Robert Kennedy. Now he's selling the massive archive of files he built over half a century to tell his stories. Jon Kalish visited Sanders at home in Woodstock, N.Y., and reports that the 76-year-old poet, musician and scholar has decided it's time to start thinking about retirement. JON KALISH, BYLINE: Ed Sanders' archive fills 400 banker's boxes. 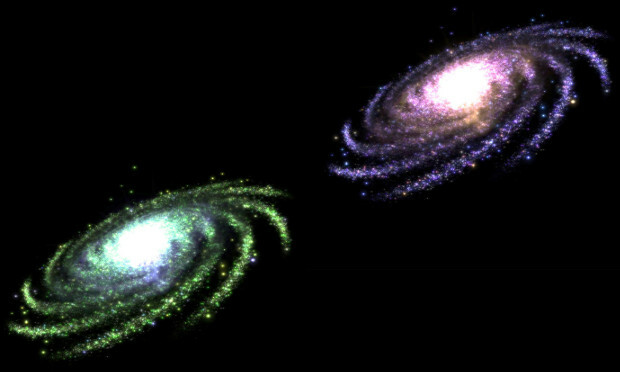 ED SANDERS: I have files on many things. I'm a compulsive filemaker. KALISH: He could pass for a college professor with his bushy mustache and tweed jacket, sporting a button for Bernie Sanders - no relation. SANDERS: This is a garage, which is packed floor to ceiling with my chronological archives. KALISH: He's got them organized by date and subject, all carefully catalogued in a 200-page single-spaced directory. Attached to the garage is a small building that used to be his writing studio until it, too, filled up with boxes. Sanders opens one of them and pulls out a record of him performing a poem. UNIDENTIFIED MEN: (Singing) They were the Yiddish-speaking socialists of the Lower East Side. SANDERS: You could send one of these to Bernie Sanders. KALISH: Three sheds on his property hold even more. None of them are climate controlled. One of the sheds contains 18 boxes filled with files, photographs and memorabilia Sanders accumulated while researching the Manson family. SANDERS: Files and files and files and files. KALISH: Manhattan publisher Steve Clay is handling the sale of Sanders' archive. KALISH: The Fugs were Sanders' long-running band, and he's got their recordings archived too. THE FUGS: (Singing) Well, I ride the left wing airlines, stirring up trouble at night, secret signs and secret deeds, I'm just a yodeling yippie. KALISH: The band got its start playing at concerts and protests throughout the 1960s. That's also when he ran the Peace Eye Bookstore and became involved in First Amendment battles over obscenity. KEN LOPEZ: Ed Sanders in particular was kind of right in the middle of a lot of that. KALISH: Ken Lopez is a dealer who's handled the sales of archives belonging to writers William Burroughs and Robert Stone. He says Sanders' papers cover a crucial period in American history. LOPEZ: Culturally and historically and literarily, this sheds a lot of light on important changes that were taking place. It definitely would be an archive with great scholarly value. KALISH: Not to mention monetary. Estimates for the archive range from the low six figures to a million dollars or more. Sitting in his house, Sanders says the archive has become a part of his life. SANDERS: I like my archive. It's a living thing. It's like a life form. It's like a big mushroom out there. KALISH: The archive, of course, will stop growing once Ed Sanders sells it, but he's not quite ready to hand over all of his files. He'll hold on to some for a book-length poem about Robert F. Kennedy and for his unfinished multi-volume autobiography. For NPR News, I'm Jon Kalish in New York. This is an expensive out of print book. The contents are way out of proportion to the price which ranges from $95 to $250. 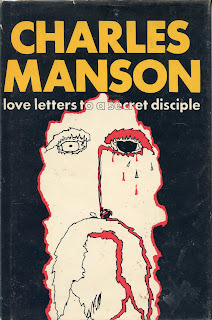 The cover is a striking color rendition of a Manson drawing from the trial. It goes downhill from there. Perhaps the subtitle "a psychoanalytical search" is the tipoff that pages of turgid, highly speculative drivel is going to follow. This guy is an English professor? What, English as a second language? 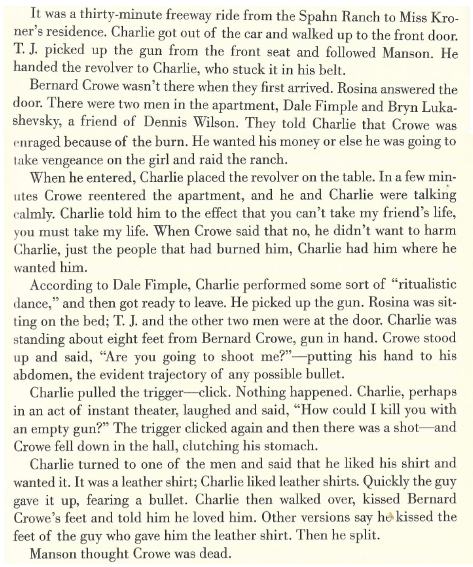 Rosenthal knew a woman who started corresponding with Manson in 1969 at age 13. In 1975 after Ms. Fromme attempted to assassinate President Ford; the FBI showed up and grabbed all the letters as "evidence". The woman he calls Beatrice managed to keep some back and this book reprints their transcripts. There's nothing really spectacular here; the usual cryptic Manson missives about God, love and saving the planet. 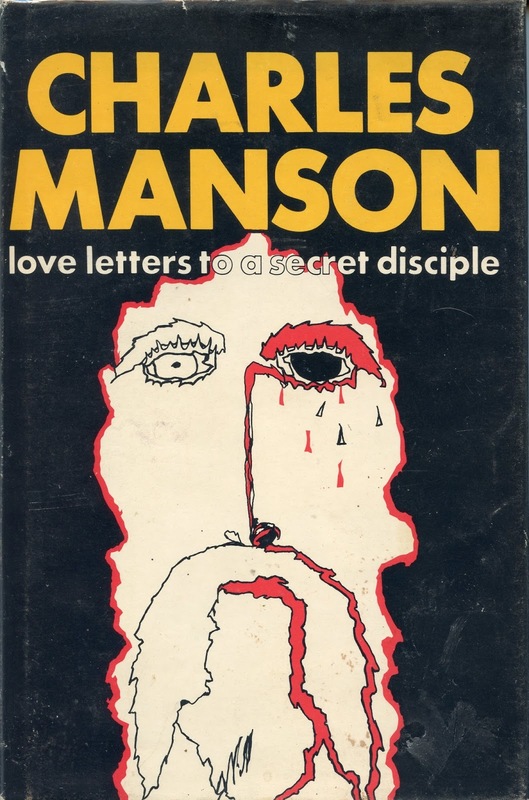 One hard piece of information is that Manson asks "Beatrice" to write his friends Steve Grogan, Larry Jones and Bob Beausoleil in December of 74. 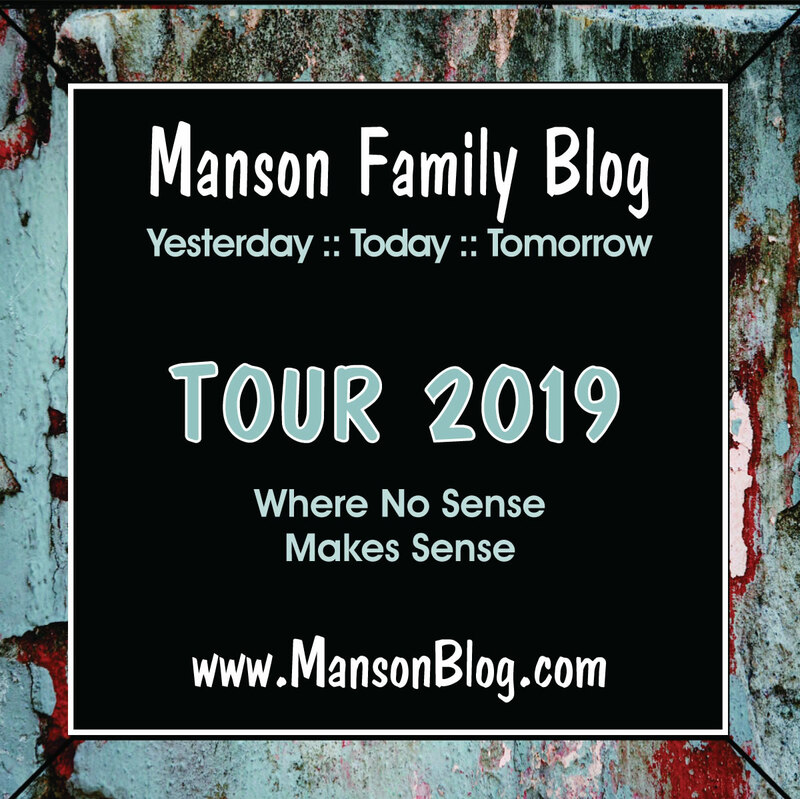 Furthermore from a letter of March 75, Manson gives each of the Family a name as an occult flash point. Ironically, the items he used to pad the book are now its main value. 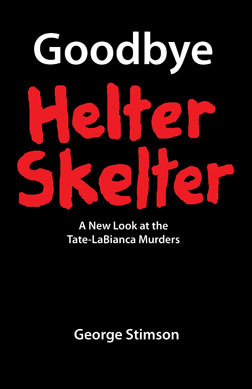 He includes an interview from the LA Free Press with a sympathetic writer just before the trial that details Manson's confinement. 6 Next is an unrevealing telephone interview with another underground LA magazine "Tuesday's Child". 7 This resulted in Manson getting his phone privileges revoked. What really should be revoked is the long, confusing opening essay to Manson's off reprinted final court statement. Good lord! Wizinsky starts by quoting the English Catholic cardinal and theologian John Henry Newman (1811-1890) and meanders onto Sacco & Vanzetti, James Thurber (? ), climaxing with a panegyric about Ralph Nader! Wizinsky should be on trial for his wandering metaphors and touchstones that attempt to bring the Manson case (and Wizinsky's "spectacular" insights) towards the status of universal myth. John Henry Newman's autobiography can be compared to Manson's soliloquy? Really? The author ends with an "open letter to Charles Manson" that is just off the charts in terms of bizarro-land commentary. His use of fifty cent words and convoluted thinking show not only his ego but his lack of understanding of the subject. How Manson could understand this tortured logic peppered with polysyllables and far-fetched literary references is inconceivable. Between the fully orgasmic prose and the copyright issues; it's no surprise this book was never reprinted. Luckily, Lynette Fromme gets the last word in via a photocopied letter: "we live in a very magic world…everyone does…but not everyone knows it!" 3 I found this on Princeton Antiques.com but the listing is now gone! 5 I'm not sure who Babas is. 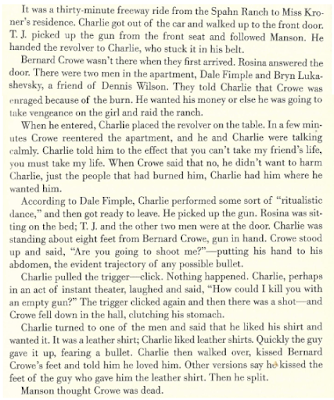 6 LA Free Press: "First Interview with Charles Manson in Jail"; 30 Jan 70. Michael Hannon. 7 Tuesday's Child: interview 1970. Steve Alexander. 8 LA Free Press: 9 Oct 70. 9 My own words which I hope convey the drift. 10 The author drags in the SLA as well. 11 At the time the authorities didn't realize the Kenneth Como connection or at least didn't prepare. 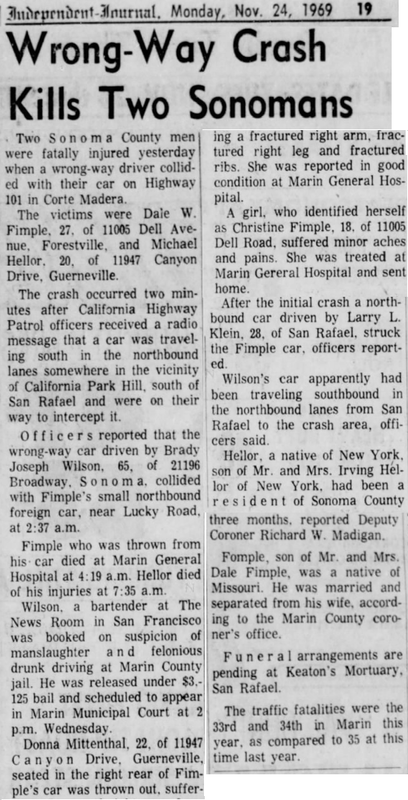 12 LA Times 26 Jan 71 "Manson's Mother Talks of his Early Life" by Dave Smith.